Featuring an internationally renowned line-up that traverses The Gambia, Senegal, Ethiopia, Ghana and Australia, the Senagambian Jazz Band channels over 8000 years of African musical traditions and paves the way for a new African jazz genre. 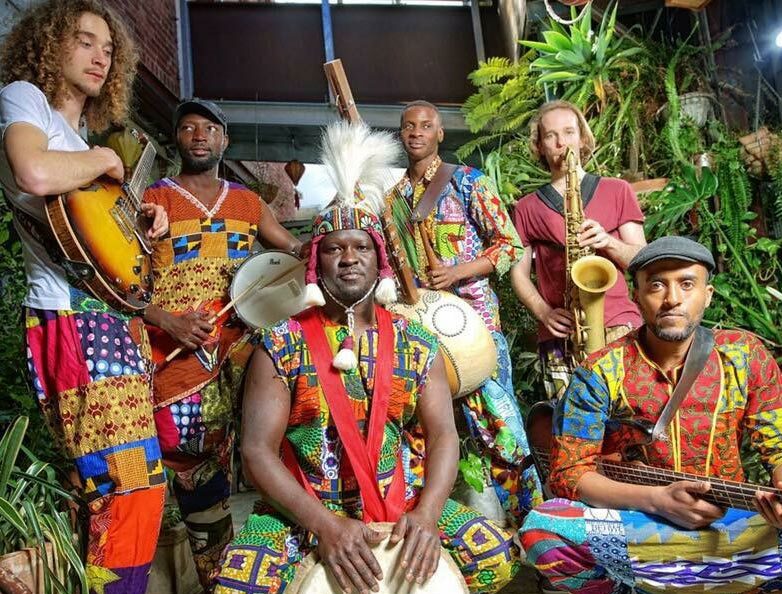 Fronting this seven-piece band is the phenomenally talented Amadou Suso (known as the ‘Jimi Hendrix of the kora’), a direct descendent of the world’s first kora player, the legendary Musa Suso. Complementing the Senegambian Jazz Band ‘s sublime kora-led melodies are the percussive talents of Boubacar Gaye on the djembe and congas, and Julius Sackey on drums. On bass is mainstay of the international Ethio-music scene, Yoseph Bekele, underpinning the soulful strains of Tom Benson on saxophone and the slicing electric guitar solos of Luke Koszanski. Vibrant smiles and passionate melodies; the culture is deep and the music is fresh.